There are more radio stations in the U.S. programming country music than any other format. In fact, country music is the most listened to rush hour radio genre during the evening commute, and second most popular in the morning. 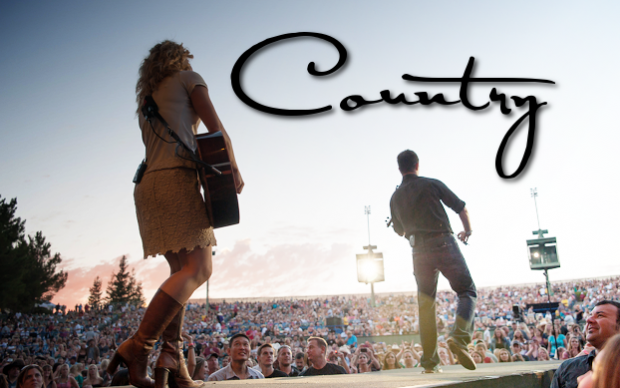 Today’s Country format represents the heart of America with a balanced blend of new country artists and traditional favorites. The Country format really took off in the 1990s, thanks to Garth Brooks, he enjoyed one of the most successfulcareers in popular music history, breaking records for both sales and concert attendance. Other platinum selling artists during this time included Clint Black, Alan Jackson, The Dixie Chicks, Brooks and Dunn, Reba McEntire, George Strait and Shania Twain. Furthering Country radios mass appeal, Carrie Underwood won the 2009 American Idol crown and became a multi-platinum selling artist and Grammy Award winner. In 2010, the crossover group Lady Antebellum won five Grammys and Taylor Swifts third multi-platinum album sold more than a million copies in its first week. Core Listeners: Country radio is balanced across gender lines and very strong at reaching 25-54 year olds.